Krause, P. C.; Wasynczuk, O.; Sudhoff, S. D. – Analysis of Electrical Machinery. IEEE Press, IEEE, Inc., New York. IEEE Standard Test Procedure for Polyphase Induction Motors and Generators. IEEE Std. 112-1978, IEEE, Inc., New York, N.Y.
IEEE St. 112-1996: IEEE Standard Test Procedure for Induction machines. Standard IEC 60034-2-1, 2008, Standard Methods for Determining Losses and Efficiency from test. Electrical Machines. P.G. Gummings, W.D. Bowers, W.J. Martiny, "Induction Motors Efficiency Test Methods", IEEE Trans.on Ind. Appl, Vol. IA-17, No 3, May/June 1981, pp.253-272. J.S. Hsu, J.D Kueck, M. O, D.A. Casada, P.J. Otaduy and L.M. Tolbert, "Comparison of Induction Motors Field Efficiency Evaluation Methods", IEEE Trans. on Ind. Appl, Vol. 34, No1, Jan/February 1998, pp.117-125. G.R. 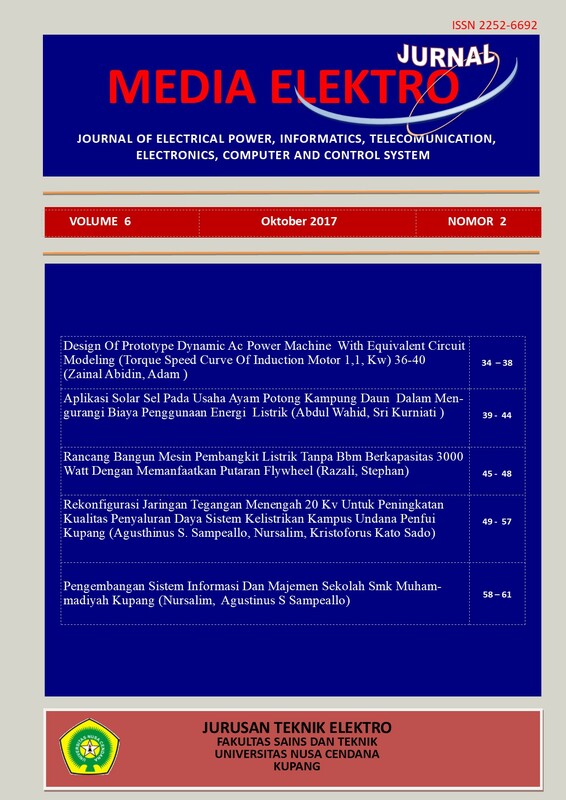 Slemon, "An Analysis of the Harmonic Impedance of Saturated Induction Machine", IEEE Trans.on Power Apparatus and Systems, Vol. PAS-99, No 4, July/Aug 1980, pp.1663-1667. G.R. Slemon, "Modeling of Induction Machines for Electric Drives", IEEE Trans. on Ind. Applications,Vol. 25, No 6, Nov/Dec.1989, pp.1126-31. P.L.Alger, Induction Machines, Book, 2nd edition, New York: Gordon and Breach, 1970. Standard Handbook for Electrical Engineers, 11th Edition Mc Graww-Hill Book Company, New York, 1983, Section 20: Motors. A. Ivanov-Smolensky,”Electrical Machines” , Vol. 2, Mir Publishers, Moscow (Translated from the Russian), 1982. I. Boldea, S.A. Nasar, "The Induction Machines Handbook", 2002 by CRC Press LLC, Web site at www.crcpres.com, pp. 1005. Y. EI-Ibiary, "An Accurate Low-Cost Method for Determining Electric Motors" Efficiency for the Purpose of Plant Energy Management", IEEE Trans. on Ind. Appl, Vol. 39, No 4, July/August 2003, pp.1205-1210. M.Kostic, »Determination of Г- circuit parameters and energetic haracteristics of induction motors on the base of catalogue dates" (in Serbian), "Tehnika", separate Elektrotehnika 3/2000g, pp. 12E-18E.